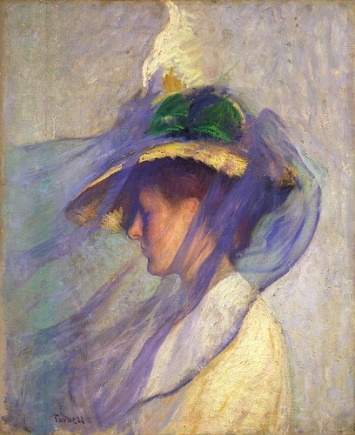 In the course of conversation the artist asks when the young lady had died and is told it was two years ago on the 13th September – the very date the painter had met the pale young woman on the train. significant is that it was to have a resonance in real life. Shortly after publication Dickens received an irate letter from a painter who claimed that the story was not fiction, but fact. 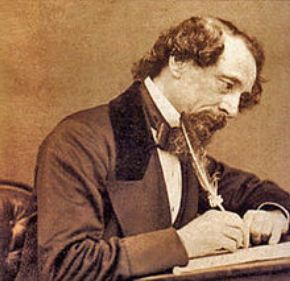 It had been his own personal experience, which he had written down with the intention of submitting it for publication, but had delayed and was now convinced that Dickens had heard his story somehow and copied it, even down to the date chosen for the girl’s death. The painter had told the story to his friends but had never mentioned the date until the day he wrote it all down. Posted on October 19, 2013, in Uncategorized. Bookmark the permalink. 1 Comment. I bought a copy of The Werewolf Of London when it came out on vinyl back in 1980, and have managed to obtain a few of the singles. (Hot George, the one as Beau Brummel which I believe had a version of Oscar Automobile simply titled Oscar?) and perhaps a few others. I recently bought a CD copy of this classic and awesome album (especially love Blades Of Battenberg, Oscar Automobile, Public Enemy & Werewolves Of London). When I first listened to the album I was very impressed with the gothic sounds of it (this was ages before GOTH was a thing) and the way it had heavy Marc Bolan influences weaved into it’s own magical entity. A funny aside. When I lived in London England for a bit in 1983 I spoke with another musician I met on someone’s lawn where a party was being held in memory of Marc Bolan. (party was inside but we were all out standing on the lawn) I didn’t know it at the time, as when he asked what sort of music I was interested in playing I mentioned how I loved this album and how it was Bolan influenced and yet it’s own unique thing and I said I’d like to do something along these lines. I also mentioned Jed Dmochowski’s Stallions Of My Heart album. Little did I know that the musician I was talking to (who had changed his name by then) was the guy who played guitar on the Werewolf… album. Anyway, I recently bought and received a copy of this album on CD. Something didn’t seem right to me with the track listing. And I was right. 3 songs are “missing” (replaced more accurately) and several others have been added. I’m quite curious as to why. I searched for other Paul Roland CDs and was shocked to find there were about another 20 or so out there, some with much the same content. First the additional tracks: The Ghoul, The Puppet Master, Dr. Strange (which I have the original single of), Sword & Sorcery. The Bonus tracks which are said to be all previously unreleased versions… The Old Dark House, Angel, Cavalier, & Jack Daniels. The missing tracks – Oscar Automobile, Angel (original version) & Jack Daniels (original version). Could you tell me why the original songs and track listing was altered and if any version of the original album is available on CD. This version might be better, but I had hoped to outright replace the album with the CD. Can’t do that when it’s different. I imagine I have all of this stuff transferred from vinyl to CD to a backup hard drive, but I am curious as to why the changes.